The Little White Stallion Bridle and Little Ivory Raptor Whistle are both obtained from the Tiny Loot Card. 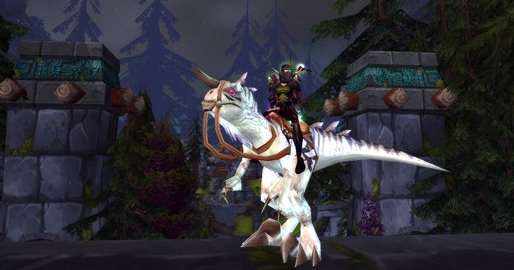 Depending upon the player's faction, they are awarded either a tiny stallion mount (Alliance) or a tiny raptor mount (Horde). 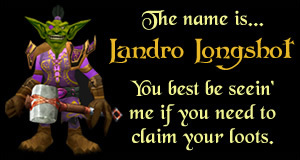 Each loot code grants a total of 50 charges, which are consumed each time you use the mount. The charges are stackable up to 250 (5 loot code turn-ins). The mount's speed varies depending upon riding skill, but requires a minimum character level of 20 and a riding skill of 75 to use. Although it's a consumable charge mount, this mount behaves as a typical mount and is affected by all things that affect mount appearance or speed; however, it does not count towards your Mountain o' Mounts achievement. Tiny is a very common loot card, with an insert rate of 1 in every 11 booster packs. The Tiny Loot Card is found in packs from the Scourgewar Expansion Set. At 1 in 11 packs, it's a pretty common pull. However, Scourgewar booster boxes are going for about $60.00 these days, so if you were buying packs to get it, you'd end up spending about $25.00 to $30.00.